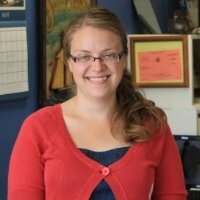 Sarah Wassberg Johnson received her MA in History/Public History from the University at Albany, State University of New York and her BA in History and Scandinavian Studies from Concordia College in Moorhead, Minnesota. Her Master's thesis is "Preserve or Perish: The Orange County Food Preservation Battalion and Food Conservation Efforts in New York State During the Great War, 1917 to 1919." She is currently under contract with SUNY Press to turn her Master's thesis into a book. Although she currently works as a museum professional in the museum education field, her lifelong love of food and history has led her to focus increasingly on American food history. Her areas of specialty include: rural and agricultural history, women's history, the history of domestic science, World War I and World War II home front history, the Progressive Era, particularly the Country Life movement, and food history in general. In her spare time, Sarah enjoys cooking vegetable-rich meals from scratch, collecting vintage, ethnic, and community cookbooks, throwing parties, hiking with her husband and her Shetland sheepdog, volunteering at other museums, and writing. You can read her complete CV here.